Tom Brady was named the NFL's Most Valuable Player last season, although one player said the 2017 honor should have been presented to Seattle Seahawks quarterback Russell Wilson. Minnesota Vikings linebacker Anthony Barr told NFL.com why he would have supported Wilson, who did not receive any votes on the final ballot. "His ability to extend plays and he never has help, and he's always able to somehow ... He should have won MVP, I think, this past year," the 26-year-old Barr said. "No offensive line, no running game, can't name three receivers on his team and he just makes plays." 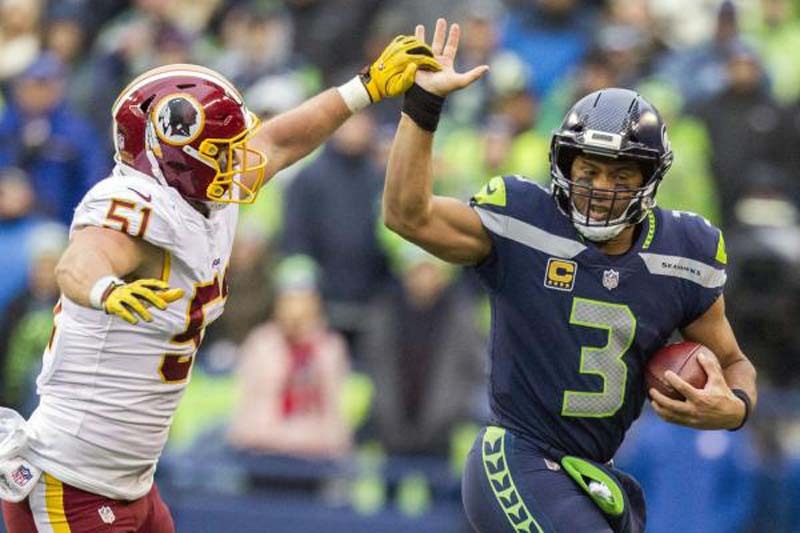 Wilson led the NFL with 34 touchdown passes this past season and has 161 since he was selected by the Seahawks in the third round of the 2012 NFL Draft. The 29-year-old Wilson also led Seattle in rushing last season with 586 yards -- 346 more than the closest running back (Mike Davis). Brady, 40, became a three-time NFL MVP and the oldest in league history when he received 40 votes after throwing for 4,577 yards, 32 touchdowns and eight interceptions last season with the New England Patriots. Los Angeles Rams running back Todd Gurley finished second with eight votes, followed by Philadelphia Eagles quarterback Carson Wentz (two). Barr is still hoping to get a new contract. He is scheduled to make $12.3 million in the fifth and final year of his rookie contract. An extension does not seem imminent. "I don't really get into the numbers," Barr told Nick Shook of NFL Media. "It's more about feeling valued and respected than the actual dollar amount. They kind of go hand in hand, I suppose, but I love being in Minnesota and I love my teammates. I want to be there long term. I've felt I've worked really hard, improved from my first day there to where I am now. I think I'm a totally different football player. It's not really up to me. I feel like all the work I've done so far, you've got to go off that. You can't really go off what-ifs or this or that. Let the chips fall where they may. It's not my decision; it's on them, and I would like to get it." Barr has started all 58 games he has played and has 283 tackles, 10.5 sacks and an interception during his time with the Vikings. He had one sack and 75 tackles in 2017.